The great Spanish estate of Vega-Sicilia has been featured in some depth on wine-pages before, but in April 2009 Xavier was on these shores again, to present a selection of wines from Vega-Sicilia, and from the newer estates in the portfolio, with London fine wine merchant Roberson. Founded in 1864, Vega-Sicilia is seen as one of Spain’s most aristocractic and traditional estates. 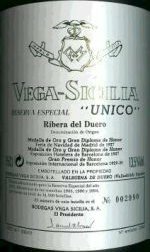 Their two iconic wines, Unico and Valbuena, were launched in 1915, though these first bottles were distributed only to Spain’s bourgeoisie, offered by the winery as gifts to family friends. Perhaps this helped foster Vega-Sicilia’s reputation for exclusivity. The present day bourgeoisie must have been surprised when Vega-Sicilia launched a more modern style of Ribera del Duero in the shape of Alion (purchased 1991) and then in 1997 Pintia, an estate in nearby Toro. Acquired by the Alvarez family in 1997, Pintia’s vineyards are 30- 50-year-old Tinto de Toro (Tempranillo). 100% new oak is used, around 70/30 French/American. Xavier says that all of Vega-Sicilia’s estates aim to avoid green aromas on one hand, but overripe on the other. Toro is challenging, because it is a very hot region and doubly so for Pintia as the terroir for their vineyards is in a particularly warm area. Picking is into very small 8kg crates, which are immediately chilled for 12 hours, with four days of cold maceration following “to extract fresh, fruity aromas”. See all UK stockists of Pintia on wine-searcher.com. This has lovely blackberry aromas that are concentrated and sweetly focused, with a certain muscular, tightly-wound character. The very sweet, plush fruit floods the palate, layered with smoky, charry, vanillin oak. This is a big wine, with great concentration and at this stage a fairly burly, almost rustic grip from the tannins. Xavier is certain this ages to be more elegant, and their experiments from 1997 suggest this is so. 91/100. £41.95, Roberson. This is a substantial estate, producing around 300,000 bottles depending on vintage. 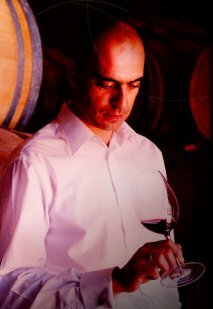 1997 was such a difficult vintage that only 190,000 bottles produced – Xavier explains that “Ribera del Duero has much more vintage variation than Toro.” Alion was the first 100% Tinta Fino (Tempranillo) wine aged in 100% new French oak in Ribera del Duero, so it was seen as revolutionary, especially coing from such a traditional bodega as Vega-Sicilia. Indeed Alion, established slightly further down the Duero from Vega-Sicilia, is vinified with a “more modern approach,” according to Xavier, spending one year in new French oak. See all UK stockists of Alion on wine-searcher.com. More subtle, more vinous nose than the Pintia, with quite tight, focused black fruit and tight, dark, polished wood notes. The fruit is quite bold, with some fragrant cherry and even floral nuances. The palate has beautifully sweet, ripe, quite forward and focused fruit. It has terrific juiciness, with a liquoricy stripe of ripe, svelte tannin and very good acidity. There is warmth and spice, but the fruit powers through. Already very drinkable. 92/100. £54.95, Roberson. A little more meaty and plummy than the 2005, a suggestion of a powerfully structured and more dense wine. The palate has very good fruit, with lots of tannin and acidity dominating and a liquoricy edge to the long, spicy, muscular finish. This needs time, perhaps five years in the cellar. 93/100. £49.95, Roberson. The Alvarez family acquired Bodegas Vega-Sicilia in 1982. In that time they have modernised every aspect of the operation – gently but extensively – whilst trying to maintin the traditional, ageworthy style of their wines. The thiird generation of coopers now work in Vega-Sicilia’s own cooperage. French oak is bought as finished barrels, but American oak is coopered in Spain. The two cuvées, Valbuena and Unico, are joined at the top of the tree by a very unusual wine, the multi-vintage blend known as Unico Reserva Especial. Valbuena is made from the younger vines of the property, and the elevage is different from Unico. The full name of the wine is actually “Valbuena 5,” The 5 referring to the years it spends in barrel and bottle before release. The wine could qualify as Grand Reserva under DO rules, but is in fact labeled as Reserva. It is a blend of 85% Tinto Fino with Merlot and a touch of Malbec. Unico comes from the estate’s older vines and is made from Tinto Fino with Cabernet Sauvignon and a little Merlot, aged in a 50/50 blend of French and American oak. The Unico Reserva Especial follows a Spanish tradition of bottling an Especial that is a blend of the best recent harvests. The vintage tasted here was released in 1999, and so is refered to as the ‘Reserva Especial 1999,’ though wine of multiple vintages is in the blend. See all UK stockists of Vega-Sicilia on wine-searcher.com. Subtle, harmonious, composed and elegant nose, with some gently toasty, cedary notes. Cherry and delicate fruit as well as a tight, plummy quality. The palate has open, elegant black fruit with a cassis sweetness and a bittersweet edge of liquorice or plum-skin that gives a very focused, clear line through the palate. There are powerful, gripping tannins but they are velvety and refined. Tight and long, winemaker Xavier Ausas suggests this will drink at its best from around 2014. 95/100. £115.00, Roberson. Cedary, gently meaty and smoky notes, less obvious fruit intensity, but a certain minty, chocolaty note. The palate is much leaner, more acidic than the 2004, with still good balance, but it is a less generous, less well-endowed wine. 91/100. £75.95, Roberson. Vinous and pleasantly cedary, but perhaps a touch less ripe than it could be. It has a certain smoky, earthy character which is appealing. The palate is again a little more driven by acidity than the weight of fruit. The tannins are nicely resolved and this has fine energy, with racy, lithe tannins and good length thanks to modest but elegant fruit and that acidity. A successful wine in a poor year for the region. 92/100. £95.00, Roberson. Showing a lot of colour development, but still quite dark at the core. The nose shows a lot of development too, with a slightly dank, slightly mushroomy character, though cedar and good red berry fruits come through. On the palate the tannins are resolved and mellow, but those and a charry quality of oak give depth. The fruit is really quite sweet in an old wine way, with lovely resolution. Not for extended cellaring. 92/100. £75.95, Roberson. Fantastically dark, deep, balsamic richness with elegant glimpses of florality and blue/black fruit intensity. There are exotic hints of Sandalwood. On the palate there is intense, naturally concentrated fruit that is ripe and glossy with sweet blackcurrant. That balsamic quality of real substance is there, with spices and meaty notes, massive but supple, creamy tannins and excellent freshening acidity. Superb and will get better. 95/100. £265.00, Roberson. Deep, relatively youthful colour. There’s quite a bold berry fruitiness in this wine – seems much more youthful than the 1983 Valbuena. Intriguing pepper and spicy notes and more cedar. The palate has a little more obvious age, with a milky coffee sweetness and the tannins relatively soft. But this has lovely intensity, with a glimpse of cherry juiciness in amongst that lovely resolution. Has some ageing potential still. 93/100. £350.00, Roberson. Tasted from magnum. Youthful colour, with orange at rim. A lovely nose, with Sandalwood and exotic spiciness. There is fruit here too, and a beguiling cherry-infused edge to fudge-like depth and ripeness. The palate has magical sweetness of fruit. The balance is impeccable, with intense fruit concentration, a great support of firm but supple tannin and acid structure that just ripples through the wine without ruffling the surface. The intense, spicy finish has nuanced layers of complexity. Drinking absolutely beautifully, but should cellar 10 years+. 96/100. £320.00, Roberson. Espresso coffee and sweet balsamic aromas flood the nose of this wine, which retains a little ruby at the core amongst some tawny tones. There is plenty of voluptuous, spicy oak, but the fruit has a strawberry softness, with touches of plump Agen prune and some liquorice or caraway seed. The palate has truffle and damp, sweet earth, a touch of something animal, and a mentholy, black fruit sweetness. More of that espresso builds on the finish, with fully resolved, suede-like tannins and perfectly tempered acidity. A balanced and utterly beautiful wine. 96/100. £510.00, Roberson. This is the 1999 release of this non-vintage blend, originally conceived to allow a consistent house style much like non-vintage Champagne. Cedary, meaty, with little hints of gaminess. Seems a more Burgundian take than the Bordeauxesque style of the Unico. Fabulous ripe berry sweetness in the mouth, with coffee and fudge and a softness that washes over the palate before spice and tannins begin to build. The lip-smacking cherry acidity and silky tannin quality push through into a long, beautifully focused and quite delicious finish. 95/100. £285.00, Roberson.